Iranians Await More Tourism from the U.S.
On Thursday, Chicago's Oriental Institute returned 350 ancient tablets to Iran from its horde of more than 8,000. The tablets, which date from Achaemenid Persia (circa 500 B.C.E.) are at the center of a decades-old struggle by Iran to retrieve the full horde. The tablets were loaned to the University of Chicago in 1933 for study purposes. The university had been excavating in the ancient Persian capital of Persepolis. Though the court battle continues on, the return of some of the tablets is at least a sign of some movement in American/Iranian relations. The biggest hope for those relations resides in the presidency of Iran's Hassan Rouhani, the tourism-friendly leader who replaced the toxic Mahmoud Ahmadinejad, last August. From the start, Rouhani has made re-engagement with the international community the hallmark of his presidency and he sees tourism as a major tool for achieving that. Iran has seen an enormous growth in tourism, according to World Tourism Organization figures that show a 37 percent growth in arrivals in the Islamic year 1390 (the Islamic calendar begins in 622 when the Prophet Mohammed traveled from Mecca to Medina). The Islamic year 1390 corresponds with March 2011 to 2012. Right now, Iran receives about 3 million tourists annually, but Rouhani has set a goal of 10 million annual visitors. “There’s no question that as U.S. relations with Iran improve, we see a parallel growth with our business out of the U.S. though it’s only a small amount of American travelers in Central Asia because most of our business comes from Europe,” said Nikolay Serbin executive direct of Tashkent-based Central Asia Travel, a Central Asian tour specialist. Iran has been isolated since 1979 when the country’s Revolutionary Guard overran the U.S. embassy, took 52 hostages and held them for 444 days. The reform-minded Rouhani represents a complete departure from the previous administration of Ahmadinejad. A reformer, Rouhani believes that with the liberalization of visa requirements and direct flights from the U.S. and Western Europe could open the country’s doors much wider. While Rouhani marks a profound change from Ahmadinejad, many wonder how much mandate any Iranian president has in a country where the final say belongs to Supreme Leader Ayatollah Ali Khamenei and the Guardian Council. 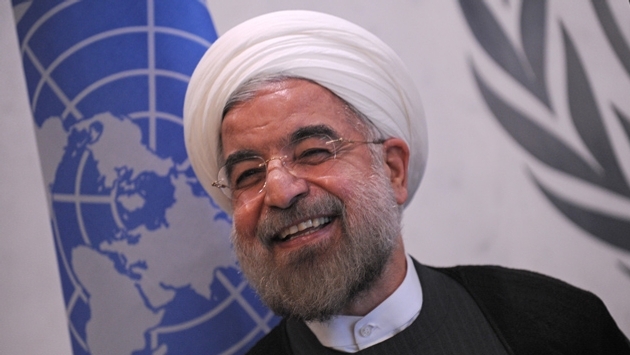 “If the Supreme Leader gives the authority to Rouhani, then he’s got the go ahead. Iranians want to solve this problem,” said Ehssani. But even as the president liberalizes Iran’s face to the outside world, the conservative elements in the theocracy have gone on a surge of executions that hearken back to the days of the Ayatollah Khomeini in their breadth as some 537 executions have taken place since Rouhani took office in August. Human rights advocates have asserted that the executions have been ramped up to remind Rouhani who is in charge. There is no doubt that Iran has plenty to offer tourists with its ancient Persian archeological wonders, the beauty of the Alborz Mountains and beaches on the Caspian Sea and the Persian Gulf. Tehran, Shiraz, Isfahan have amazing monuments that hearken back to a civilization that spread from Anatolia to Rajasthan. Now the Iranian government is looking to improve tourism facilities on such Persian Gulf islands as Kish, a popular beach island for domestic Iranian tourists. Ski resorts in the Alborz mountain range are also popular with Iranians and are also the focus of future government investment. Last November, Iran’s Tasnim News Agency quoted Iran’s Deputy Roads and Urban Development Minister, Ali Mohammad Nourian, saying that direct charter flights between Tehran and the U.S. could take place before the end of the year. He said that he’s already been approached by both American and European carriers about offering service to Iran. A spokesman for Iran Air said the carrier was ready to fly to the U.S. as are two other Iranian carriers: Aseman and Mahan Air.